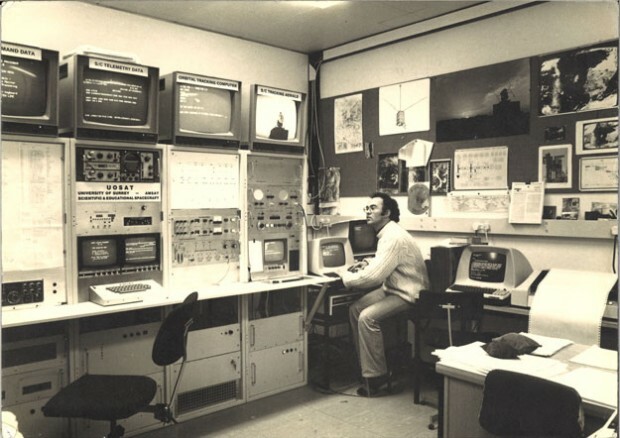 Yesterday (29 June 2015) marked the 30th anniversary for Surrey Satellite Technology Ltd (SSTL). Since the founding of the company in June 1985, SSTL has grown to become one of the most cutting-edge companies of the small satellite industry. SSTL has developed from a small team in a home-made clean room at the University of Surrey, to 500 ambitious employees showcasing British innovation in space engineering. 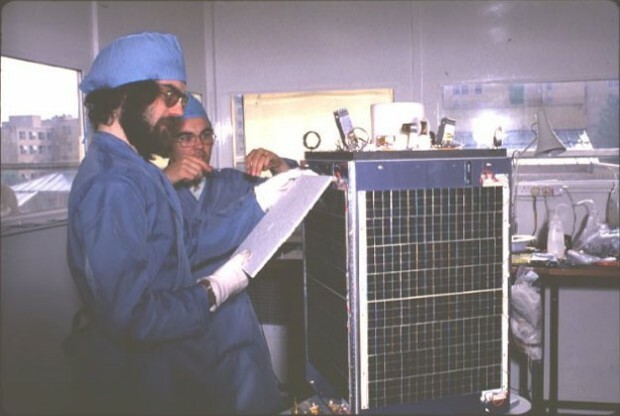 The small team’s success of UoSAT-1 as the first microsatellite with an in-orbit re-programmable computer was the first of many achievements as it turned research into commercial enterprise. When SSTL was formed 30 years ago, small satellites were considered to be intriguing but of no practical use. However, the rapid advancement of microelectronics and dramatic improvements in mass production techniques over the last three decades have enabled small satellites to become both low cost and highly capable. They now address operational requirements whilst also stimulating new applications and business models as alternatives to, and often competing with, traditional aerospace approaches. Indeed, small satellites have become fashionable, with several recent ‘new-space’ initiatives for large constellations of communications or Earth observation smallsats. A far cry from the sceptics of 1985! In 30 years, SSTL satellites have journeyed 115 million orbits of the earth and over 5 trillion kilometres. Four SSTL satellites are due to launch this year as well as 22 payloads for Galileo, Europe’s satellite navigation system. The British National Space Centre (BNSC), the UK Space Agency’s predecessor, invested in the MOSAIC programme. MOSAIC aimed to encourage the development of key satellite components and technologies for small satellites. This ensured a competitive UK technical base in this area and also helped support the development of the user exploitation of small satellites. Topsat and DMC emerged as the winners from this programme and received funding to develop the missions. Topsat was an earth observation mission flying a novel, compact imager to demonstrate 2.5m imaging capability from small satellites – a first at the time. Partners included the Rutherford Appleton Laboratory (RAL) and SSTL. SSTL has truly shown itself as one of the world’s leading small satellite innovators. Their success in 1980’s laid a fantastic platform for future success, and Martin can be rightly proud. Their focus on innovative satellite technology combined with high-quality, timely satellite data has made them an anchor of the UK space sector. We can only hope they continue to go from strength to strength as the UK’s share of the global market grows over the next 15 years. In celebration of their anniversary, SSTL have created a gallery of their ’30 Firsts’. Let us know what your favourite ‘first’ is through Twitter and Facebook! Remember you can also subscribe to our email updates. It is of particular relevance to the future surveillance of terrestrial disaster areas of Earth (e.g. Nepal) as part of international rescue and relief work. Congratulations to Sir Martin and all past and present staff at SSTL. They can be very proud of their achievements and ongoing success and continuing innovation. What will the next 30 years bring?